Google Graphing | The Techie Teacher® . Fourth grade at one of my elementary schools has been studying graphing this week. Today we made Google Spreadsheets and inserted double bar graphs as well as a line graph about data students researched. 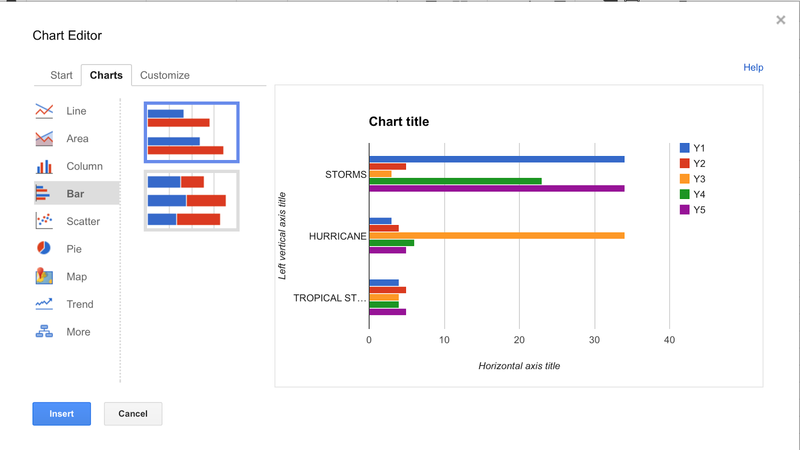 The first thing we graphed was amount of storms (thunderstorms, hurricanes and tropical storms) in a given area. Students picked a different part of the world to research the amount of storms that occurred over 5 years. Their GT teacher gave them the data sheet below and they had conducted the research before I came in. 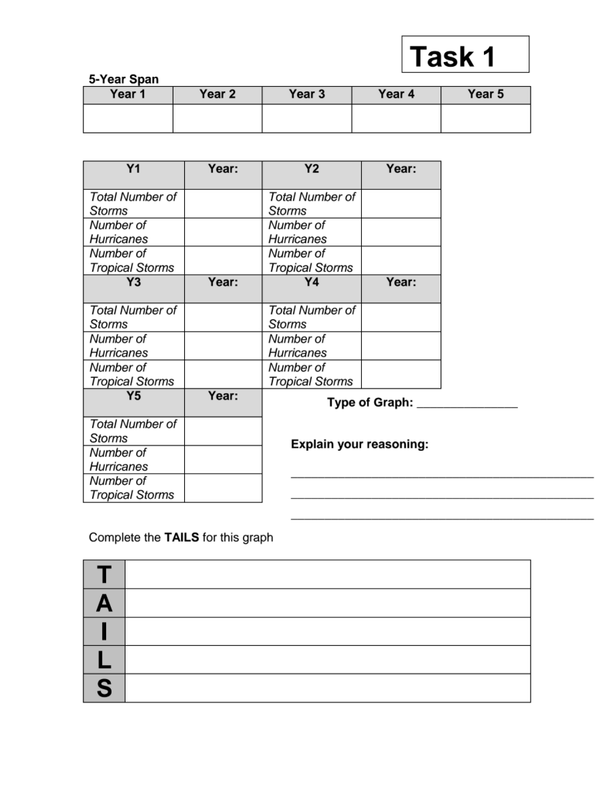 Click the image to take you to this handout. 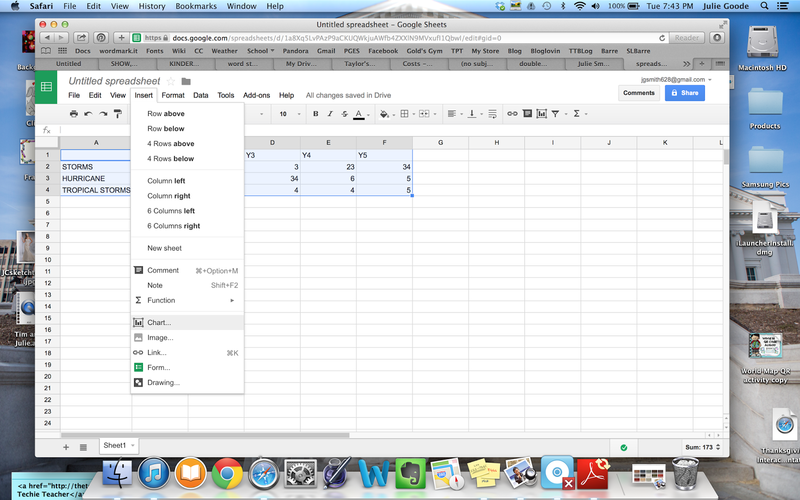 Next, they logged into their Google accounts and created a Google spreadsheet in which they entered their data. Once their data was entered, they highlighted all of the cells and went to Insert>Chart>Charts and choose a double bar graph.